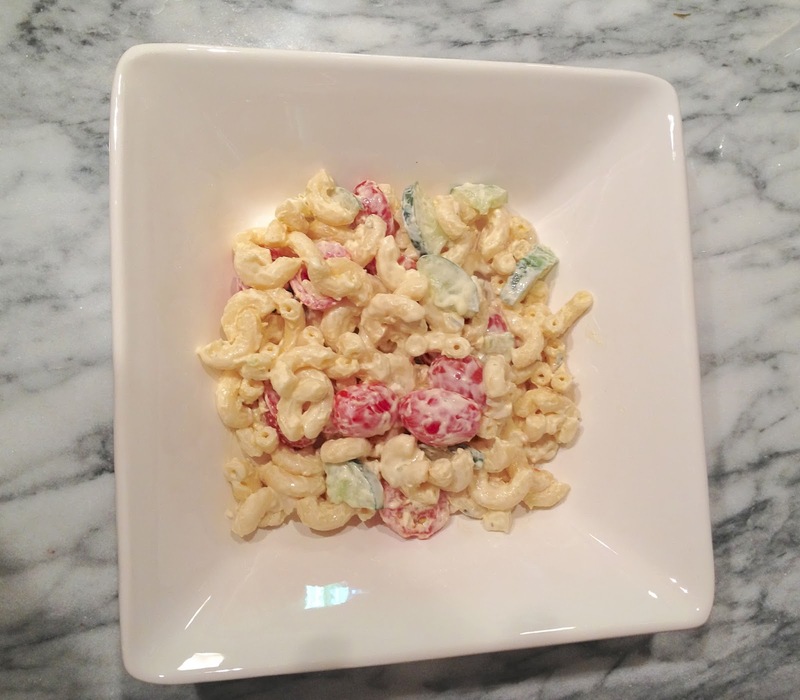 Y'all, this pasta salad is to DIE FOR! 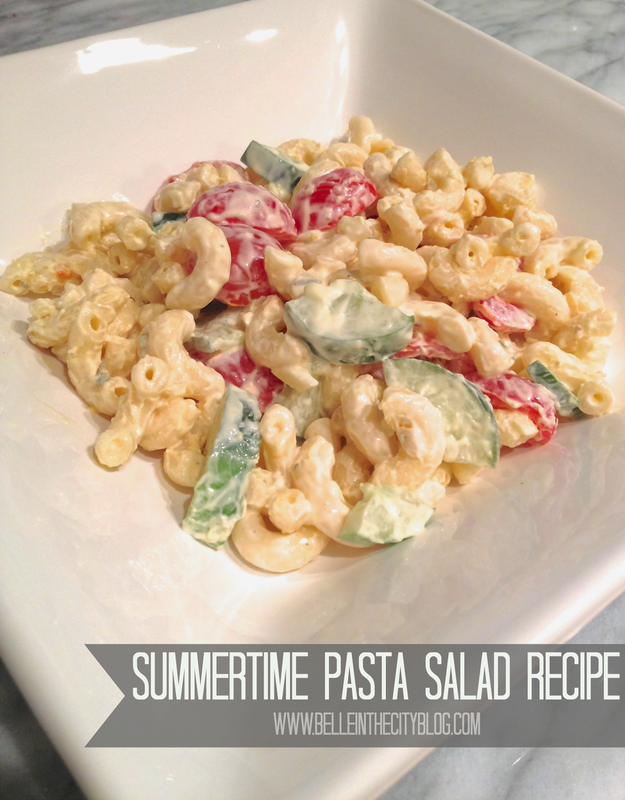 It tastes like summer time to me, and it is definitely going to be my new go to side dish to take to summer cookouts and barbecues! It is light, delicious and doesn't have a ton of calories! Cook pasta in generously salted water according to package directions. Drain and rinse with cold water. Slice vegetables up and in a medium bowl, combine onions, mayonnaise, vinegar, yogurt, mustard, oregano, garlic powder; mix well. 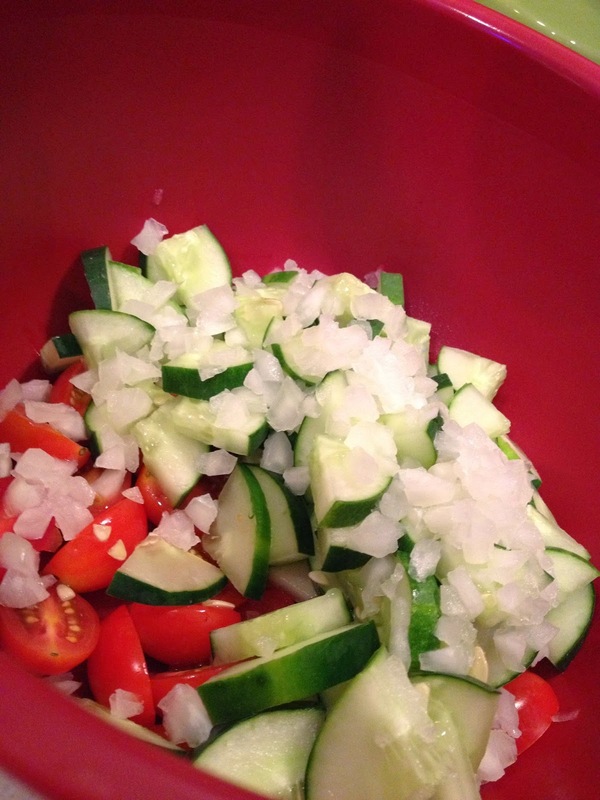 Add tomatoes, cucumber, pasta, salt and pepper to taste, toss well and place in a large bowl. Makes around 10 servings.